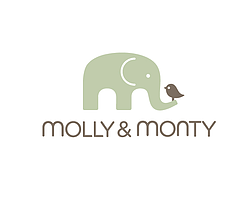 Hi, my name is Zoe and I am the very proud owner of Molly & Monty. 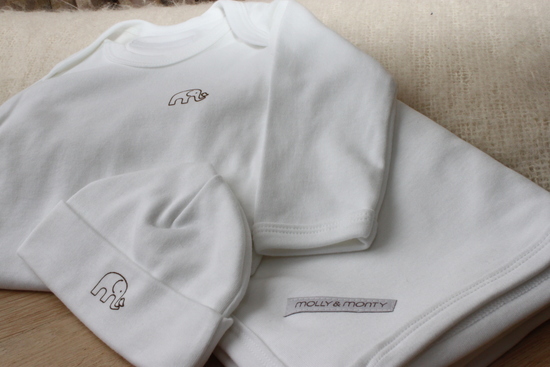 At Molly & Monty we produce Organic Baby Essentials. We aim to provide you with beautiful organic baby clothes, either for your own baby or as a special gift. Having had three children of my own I know only too well the importance of what you put against your baby's skin - whether this be products or clothing. Their skin is much more sensitive than our own therefore it seems much more natural to dress them in fabrics that we know have not been treated with chemicals or pesticides. Our clothes and blankets are made from thick organic cotton which means they are 30% thicker than the normal baby clothes you will buy from most non-organic suppliers. The extra thickness means extra softness too and they will last longer. We don't use itchy labels and the ink is baby friendly as it is water-based. All of Molly & Monty clothes are designed and made in the UK - so not only are we supporting home-grown expertise we are limiting our global footprint. I hope you like what you see - please do contact me if you need any further information.